FILE - Actor Henry Golding is pictured at the Orlando Hotel in Los Angeles, Nov. 9, 2018. 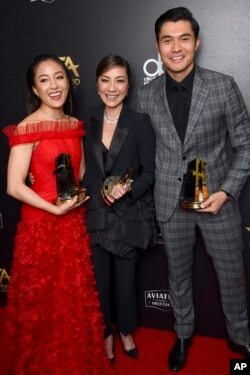 Golding, who starred in the hit film "Crazy Rich Asians," was named as one of 2018's Breakthrough Entertainers of the Year by the Associated Press. Even though Henry Golding garnered instant fame from starring in the smash hit Crazy Rich Asians, the British-Malaysian actor isn't sure if he'll ever eclipse his meteoric success in the box-office hit.